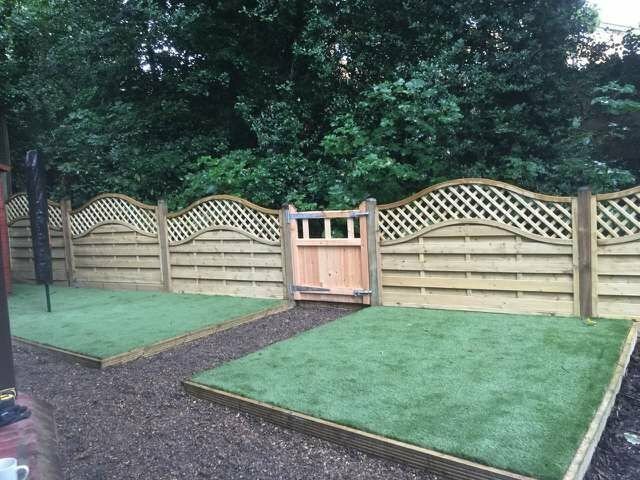 West London Fencing is your trustworthy, friendly and reliable, fencing and landscaping company. All work undertaken is provided with a written 5 year guarantee. We cover West, Central, North and South London as well as surrounding Home Counties. We specialize in fencing work and are therefore able to offer the most competitive rates. We can supply and install any type of fencing you require. Our team prides itself on quality workmanship at all times. Please call if you have any questions or you wish to discuss a project. Our customers are primarily in the residential sector, but we also take on work for commercial clients. We visit each client prior to any work commencing to survey and discuss the garden requirements. All clients will be provided with a written quotation following site visit. Contact us today for professional, friendly and helpful advice. We commissioned this company to install a new patio at a substantial cost, however we ran into problems immediately. The grouting cracked within weeks so begrudgingly they returned to fix it. Now the grouting is cracking again and the patio slabs are all moving so it’s clear the job was botched. Despite multiple attempts to contact them they are not responding to our claims and are not only ignoring us but the trade associations they claim to belong to. Please avoid using this company - there are plenty of honest traders out there who I’m sure wouldn’t scam their customers. Excellent job completed by a friendly team who left the site very clean and tidy. Communication good throughout from quote to completion. The guys from West London Fencing completed the job with in 2 days. They did a beautiful job on both fences and fitted the gate well with 3 locks on it. All rubbish was cleared away nicely. The people doing the work were polite and worked hard to get the job completed on time. The company kept in touch with me before the job was done. The job was priced very fairly. A pleasure to deal with them and a job of high standard was done. I would definitely use them again and can thoroughly recommend them. The work was carried out to a high standard with all rubbish removed. Far better than experiences with previous contractor. A very professional company, which I have no hesitation in recommending. Their customer charter says it all. I had a new closeboard garden fence put up with gravel boards, 4" posts and topped with trellis. The survey was done quickly with various options on offer and they quoted for the two options I preferred. The two man team arrived and were prompt and courteous and tidy at all times. They did a thorough job, excavating a large quantity of concrete from previous fence posts. They supplied good quality, very attractive fencing. I am delighted and will use them again when I do the fencing at the front. I had the garden fence replaced at the side and back. It was panels and gravel boards, as concrete posts already in place. The two man crew turned up on time and completed the work in less than three hours. It was an excellent job, and they were exemplary in their manner and behaviour. They tidied up and left without any problem.